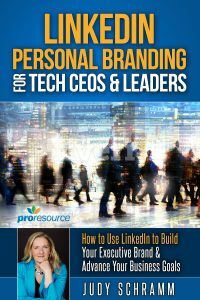 Hiring a LinkedIn expert to write or rewrite your profile can be a great strategy – especially if you’re starting to use LinkedIn to generate leads for your business or looking to land a new job. However, you need a writer who does quality work – one who will help you present your best self online. How do you know if a writer will get the job done? Here are nine questions you should ask. 1. How well do you understand my industry? A profile writer who doesn’t understand your industry will write a profile that is generic – lacking depth and meaning. It won’t resonate with the people who matter, or represent you effectively. You should work with someone who knows what the buzzwords mean and can use them effectively to convey your experience. Look for a writer who has previous experience working in or writing about your field, or has demonstrated that she can do profiles for people similar to you. It’s also important to encourage her to ask questions in the interview, especially if she needs to clarify a point or find the best way to explain technical details. 2. How will you capture my voice? 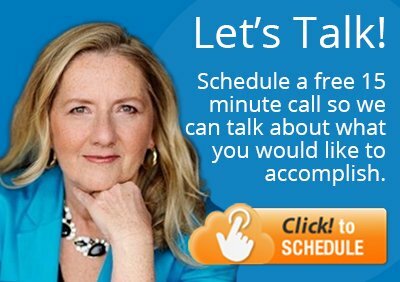 Your profile shouldn’t sound like the profile writer wrote it – it should sound like you! You have a specific, authentic, and original communication style; your profile should express that. Think about how you communicate when speaking to clients and colleagues. Your profile writer should pay attention to the way you speak in the interview, incorporating your turn of phrase, pacing and vocabulary. 3. Will you be asking about my goals? You probably have a target audience in mind. Your new profile should be aimed at those people. Ask your writer how she can make this happen. If you are doing social selling your profile will be written very differently from if you are looking for a job. If you want speaking engagements or press coverage, that’s a separate audience. If your company is in growth mode and you are hiring, job candidates are yet another target. Depending on your business goals, your writer should tailor tone, content, vocabulary, and phrasing to effectively communicate with your audience. 4. Can you show me samples of profiles you’ve done that are similar to mine? This question allows you to validate the writer’s experience, and also shows you what your profile is likely to look like. 5. What’s included in the makeover? Does the makeover include all sections of your LinkedIn profile, just a few, or only the summary? You may be able to choose a package that includes just a few sections of the profile if you already have a fairly complete profile or you’re working on a budget. But make sure you understand exactly what to expect, as well as the format of the revisions – will they be sent in a Word document, a spreadsheet, or will the writer update your profile directly? 6. What are the steps you will go through to write my profile? Expect to be asked for an old resume or CV, as well as other details about your experience. Your writer will interview you, and an editing process will follow. Look for someone who will give you unlimited revisions, or at least several rounds of revisions. Then clarify if she will make the changes on LinkedIn or if you will need to make them yourself. 7. What will you do to keyword-optimize my profile and do I need to give you the keywords? A good profile writer will understand how to optimize your profile so you rank higher in searches, including Google as well as LinkedIn, and will be able to explain what techniques are appropriate for you. If you know which keywords matter, that’s great. If not, the profile writer should help you develop a list of keywords. 8. How do I know you did a good job? Your pleasure and pride in your profile might be all you’re looking for. However, if you’re more numbers-oriented, you might want to see an increase in the number of people who view your profile, ask you to connect, or engage in a conversation. Of course, when it comes to connections and conversations, quantity is great. But quality is more important. The people connecting should be more relevant, the conversations higher quality. It’s also important to remember your new profile is only the first step in your LinkedIn marketing strategy. You should to be active on LinkedIn to really benefit from your new profile. 9. Do you have a guarantee? Your profile writer should write and edit until you are happy. (A good writer is also an editor.) A profile makeover is actually just recommendations for ways to improve your profile: your writer should expect to be edited. At the end of the day, this is your life and your job history. It’s important for you to feel fully satisfied. That’s why a good writer will keep writing until you feel not just comfortable but truly excited about your profile. 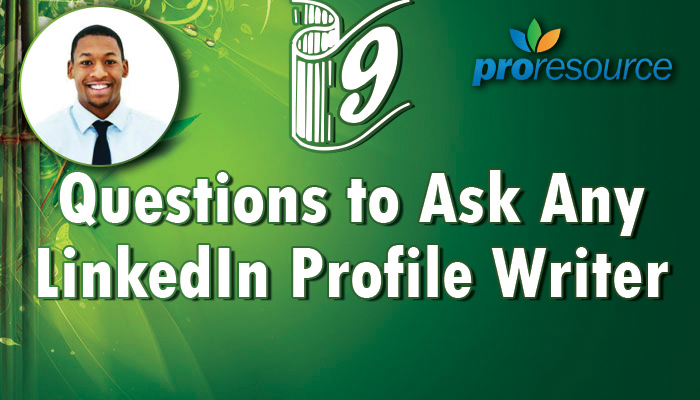 These nine questions help you get to know your profile writer, understand the process, and know what to expect. Ultimately, a LinkedIn profile is not a resume. It’s an opportunity to tell your professional story. You want a writer who understands you, believes in helping you tell your story, and will do a fantastic, professional, and meticulous job.